So why buy promotional water bottles? 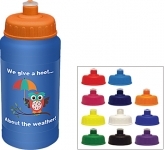 Well water bottles are undoubtedly a must-have in the world of promotional merchandise. 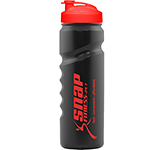 Apart from regular drinkware, more and more companies are opting to give both their customers something useful, and no matter who gets them, printed sports bottles CAN and WILL address our daily needs. Our daily need for water is not something we can ignore. 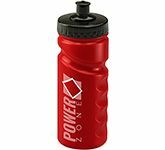 Whether you like drinking it or not, it's still indispensable to our lives, but, instead of reusing regular bottles, it's always better to opt for branded sports bottles. Plus, it helps if they feature a fantastic design, company logo or even a funny message! However, those are not the only benefits. 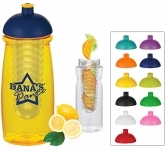 When you use drinking bottles as marketing tools, you are opening the door to a whole new world of possibilities, and that world is where you want your company to stay put and become a household name. It's your chance for advertising glory! If you haven't yet jumped on the bandwagon, what are you waiting for? 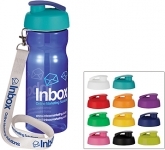 Water bottles are more than fabulous promotional products or accessories - they are your golden ticket to success! The benefits of drinking water are indisputable and we all know that we should drink more water every day. But, more often than not, life gets in the way of doing that, and we get stuck drinking copious amounts of coffee or tea that won't give us the same benefits. Yet, by using drinking bottles, we are actually tricking our minds into a subtle obedience. We are providing our body with vital water that's just within arm's reach. Who can then avoid automatically taking a sip, even if they aren't particularly thirsty at that particular moment? That's right - almost no one, including your clients and colleagues. 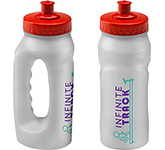 Moreover, it's very easy to start drinking water if the printed sports bottles are inspirational. Perhaps they have a funny message on them can be read time and time again. Or maybe they have the logo of your company on, and by using them, you are showing your support and boosting your outreach. Whatever the reason, the results will be powerful. With the environmental movement getting bigger every day, all companies must follow through with their "green" promises. Even if you're just coming up with a strategy right now, it's better to act on it as soon as possible. After all, your potential customers expect nothing less than that sort of influence from you. 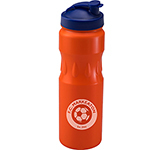 Therefore, when we use promotional sports bottles as marketing tools, we are actually doing the environment a great favour. Furthermore, since they can be used time and time again, you will be saving your customers money in the long run. So, you as a business owner have the power to change the world literally one water bottle at a time. And you, only you, can pass on these sorts of benefits to your customers by providing them with what they want and need! 3. 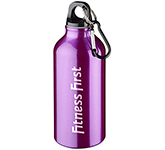 Branded water bottles - marketing that reaps rewards! Let's put aside the health benefits and the eco-friendliness of using branded water bottles and focus on the benefits for your company. After all, you will be paying for them, and you want to know that they will help you! 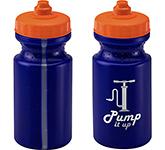 Luckily for you, branded sports bottles are one of the best marketing giveaways you can choose. Not only will you show that you care by giving out the bottles, but you will also build a mobile advertising campaign that will just keep on giving! 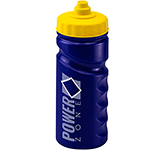 The first thing is that you can offer sports drink bottles at most promotional events. However, if you really want to make the most of them, you will be smart about it and host an outdoor event. Why? Well, because the one thing people often forget to bring with them to these events is a WATER BOTTLE. 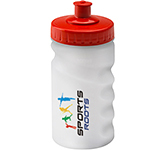 So, instead of just giving potentials clients your business card, you can order printed sports bottles and use them for a long-term advertising strategy. Think about it - there will be dozens of people at these events. and, every time a person takes a swig from the bottle, someone will glance at them and see your logo. They will start wondering: "Hmm, do they have more? Can I get one? What does this company do?" And, of course, they will try to find where those free bottles came from! Once they get their printed sports bottles, the advertising campaign continues. It will grow and grow until the bottle is no longer usable which could be many months! So, you are getting a lot more value than you think and your investment into them will help keep promoting your business for years to come! 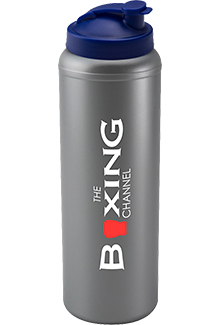 Finally, the best benefit of using branded sports bottles is the POSITIVE BRAND EXPOSURE. Not only will you have a chance to present yourself to a whole new world of potential clients, but you will also be doing it the right way. The success you're after will quickly become a reality! 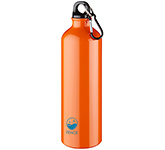 Every time someone fills up their water bottle with their favourite drink, your brand and logo will be there, capturing yet another impression. 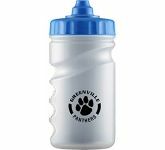 Whether you bring them to conferences, seminars, outdoor events or corporate sporting events your custom branded water bottles will be the highlight of the day! 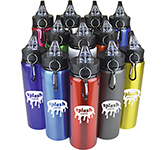 So, don't miss out on the opportunity to boost your success, the ROI will prove to be as fantastic as the styles available, and since drinking bottles are durable, practical and user-friendly, the marketing strategy will undoubtedly be rewarding! 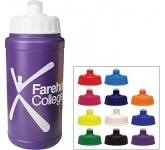 We offer a range of printing options on our sports bottles from screen printing and laser engraving through to the latest in UltraHD print technology allowing us to reproduce full colour images to a standard most can only dream of. 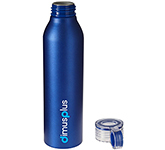 In addition, we also offer precision laser engraving on our printed metal water bottles and stainless steel drinks bottles to create a truly professional finish, ideal for special corporate gifts. 7. Our price match guarantee! 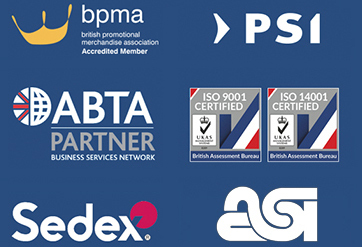 We continually check our prices against all the leading UK suppliers to ensure that you receive the best possible prices. So, if you are looking for cheap printed water bottles, and happen to find the same product at a lower price, just let us know and we will match the price and back it with our industry Award Winning Customer Service - that's our guarantee! 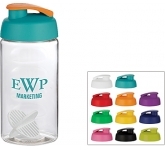 For additional information on why you should buy printed water bottles or how to use effectively use promotional products, why not contact us and have a chat to one of our account managers who will be happy to advise you further.